Are we running out of American Hardwoods? Hardly! 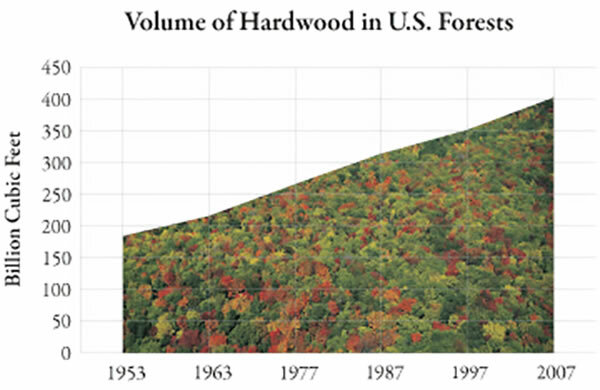 The U.S. Department of Agriculture Forest Department reports that hardwood growth far exceeds removal and that the resource is neither scarce nor finite. Here are the facts that outline exactly why America is not running out of hardwoods. 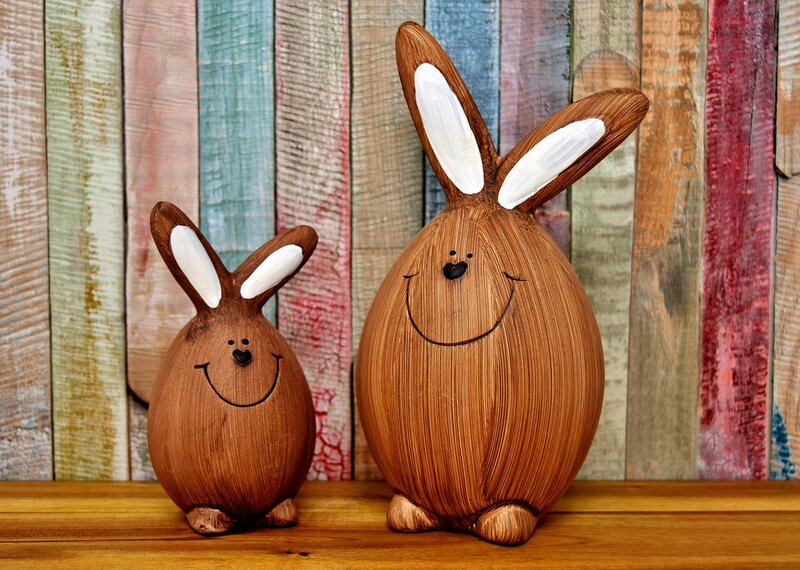 In hardwood forests, trees reproduce naturally and prolifically. Young trees sprout from roots, stumps and seeds, assuring the continued diversity of hardwood species and ages in the forest. Some species have been and will continue to be relatively more plentiful than others because that is how they occur in nature. Hardwood forest renewal happens at its own, natural pace, resulting in sustained supply and ongoing replenishment. In the continental United States, there is an abundance of hardwood forestland. Hardwood forests cover 279 million acres -- the equivalent of hardwood trees blanketing every square inch of New York, Pennsylvania, Ohio, Indiana, Illinois, West Virginia, North Carolina, South Carolina and Georgia. Collectively, across all species (including oaks, maples, cherry, ash, poplar and scores of others) found in American hardwood forests, there is nearly twice as much new wood growth as there is wood removed through harvesting. According to the U.S. Forest Service, there were 119 percent more hardwood trees in 2007 than in 1953, with the growth-to-removal ratio of 2.00 (two new trees for every one removed). So while it may take four to five decades for these new trees to mature, their wood will not be needed for another 50 to 100 years. By definition, “sustainable means to create and maintain conditions under which humans and nature can exist in productive harmony,” meeting today’s needs without compromising the ability of future generations to meet their needs. 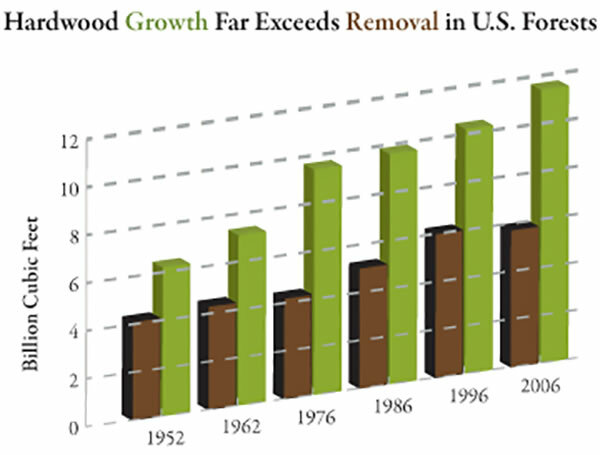 Knowing then that there is twice as much new hardwood growth as there is removal through harvesting in American Hardwood forests, it is clear that we are not running out of trees. The U.S. supply of hardwoods for flooring, furniture, cabinetry and millwork is sustainable now and for future generations!